I got the bike back last weekend after its "holiday" at ET James. Thanks to Jonathan as usual who sorted it out for me. So, the big question...what was the problem?! After taking the carburettor apart to clean it, checking the V-Force 3 reed valve (which is a well known weak point with my model year), swapping the spark plug and cleaning out the fuel tank, the mechanics dug a little deeper to find the problem. It turned out (after taking the cover off) that the stator was covered in mud. They gave it a clean and the bike fired up nicely after that! Thankfully a simple problem to fix, but while the bike was there I had a few other things done; a service for the electric start including replacing the bushes, re-greasing the steering head bearings and a new Michelin Enduro Competition III rear tyre for the Baja GB, where I will be riding with the #2 plate for the weekend. 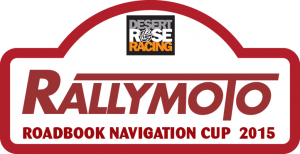 The start list has been published on the All Terrain Rally Challenge website.